Beste Aussicht auf die Berge des Glacier Park, West Glacier! Eine Meile vom Glacier Park entfernt! Entspannen auf dem Balkon und beobachten Sie die Sonne hinter Strawberry Bergs. Morgens erwartet Sie ein Schlafzimmer Ansicht der Glacier National Park Berge und See McDonald. Gehen Sie über die Straße zu Glacier Wilderness Guides und buchen Sie einen Tag Wildwasser-Rafting, geführte Wanderungen und / oder Reiten. Kommen Sie im Winter mit Ihren Nordic Skiern und entweder klassisch oder skaten Sie die private 5 Kilometer lange Strecke mit herrlichem Blick auf den Glacier Park sowie bewaldeter Schönheit. Schöne Wohnung im Obergeschoss mit einer offenen Küche und Wohnzimmer, Privatzimmer und Bad, Granit und Holzböden. Ruhe pur. Stichwort: Das ganze Jahr über Unterkünfte in einer neu gebauten Single-Apartment mit herrlichem Blick auf Glacier Park und Lake McDonald durch die Schlafzimmer Fenster und Strawberry und Desert Mountains von der Terrasse. Schöner Bau mit Holzböden und Arbeitsplatten aus Granit. Das Hotel liegt eine Meile vom Eingang des Glacier National Park und über die Straße von Glacier Wilderness Guides / Montana Raft Company. Dies ist eine Wohnung im ersten Stock mit Treppe. Es gibt keinen Aufzug. Perfect location and views for days!! If I could wake to the view from the apartment for the rest of my life I would. The location was perfect and very close to the west entrance. My husband and I are avid hikers and this place couldn't have been more perfect for us to come to after a long day on the trails. The kitchen was supplied with everything we needed to cook for breakfast and dinner. The local butcher shop in Columbia Falls is a must!! The unit was clean and comfortable.I highly recommend this location! Happy Trials! My wife and I stayed in the Hideaway for 5 nights and could not have been more pleased. The location is just outside the park and convenient to local amenities. The unit was immaculate, and it had everything you might need. The unit had plenty of space, and the 360 degree view from the ridge was FANTASTIC. Lyndsey and Travis were great to talk to and were helpful with supplying local info. Great place for a couple to get away and enjoy the west side. 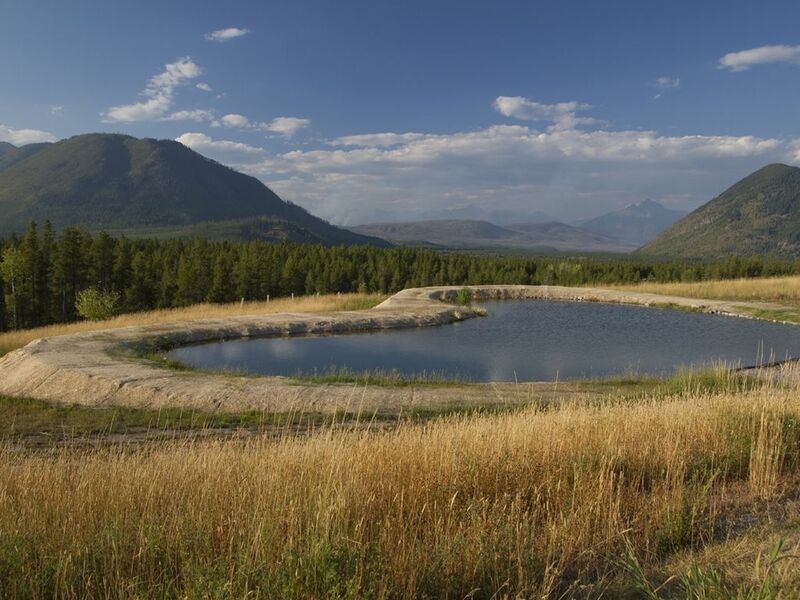 Charming and comfortable property with spectacular views very close to Glacier National Park. This property is very clean and comfortable. Quiet surroundings with amazing views. Close to Glacier National Park, Flathead Lake, and the great town of Whitefish, Mt. Great little place for a couple to base themselves out of to explore Glacier. Most of the western side of the park was closed during our stay due to fire, but this location allowed us to get to the other parts of GNP easily. It was clean, comfortable and private. Note: Don’t buy bear spray until after you check in. There were several cans from previous guests who were lucky enough not to need theirs. We added to the collection. We rented this apartment along with the main house and it was the perfect combo! We loved having this extra space for the kids and family to get away to and be separate from the main house. Highly recommend for the location and spectacular views! Fünf Autominuten vom Glacier National Park, 30 Autominuten von Whitefish, und 35 Fahrminuten vom internationalen Flughafen Kalispell. Mountainbiking, Wildwasser-Rafting, doglsedding, Spa alle innerhalb von 45 Autominuten.